Gain access to Reviews and more by purchasing the Extended Pass! GDPR: Includes reviews in the Personal Data Exporter and Eraser. Fix: Added translation text-domain for "Logged in as" string. Fix: Fatal error when EDD is not active. Fix: Improve the security of the has_user_purchased() function. Fix: Cron events were not running for requesting a review. Use edd_get_option() instead of $edd_options global to ensure the correct filters are applied. 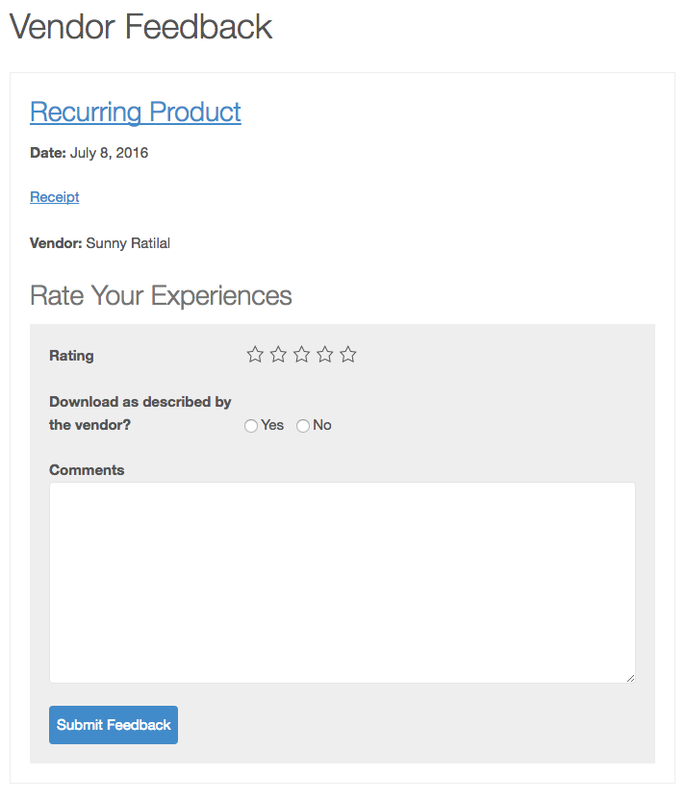 Fix: Rating stars now display correct on the "Vendor Feedback page"
The [review] shortcode has been updated to allow for multiple reviews to be displayed. Reviews for Easy Digital Downloads makes it quick and easy for your visitors and customers to review the products offered on your website. Customer reviews can be enabled or disabled on each product individually and options are included to control exactly who can leave reviews on products. Reviews can be limited to verified customers, logged-in users, or even left open to everyone. Review submissions also include a moderation queue, giving store owners protection against spam and abuse. Store owners are given a complete management interface for moderating, approving, deleting, and replying to product reviews from within the WordPress admin area. To encourage customers to both leave reviews and purchase additional products, the Reviews extensions includes an option to incentivize customers to leave reviews by automatically sending the customer a discount code after a review is submitted. To help encourage customers to leave reviews on products they purchased, automated emails can be configured that get sent to customers after a successful purchase. Emails can be sent immediately after purchase or after a delay of several days. The email sent to customers is fully customizable to provide store owners with complete control over the text and branding of the emails. 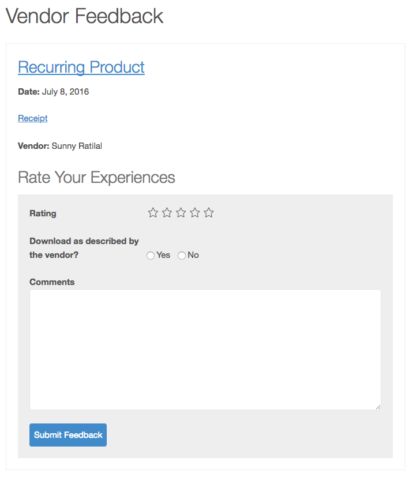 Reviews integrates with Frontend Submissions by allowing all customers to submit feedback about the vendors of the products. After making a purchase, if any of the products in that purchase were created by a FES vendor, customers can leave feedback for them. This allows store administrators and vendors to easily see what they’ve done well and what could be better. HTML5 Microdata – All reviews include HTML5 microdata for Schema.org, allowing Google and other search engines to pick up and display the product reviews in search results. Enforce word limits – Minimum and maximum word limits can be set which are enforced on the content of the review (e.g. minimum of 50 words but a maximum of 200 words). Easily embed reviews – Reviews comes with shortcodes and widgets which allow you easily embed reviews into posts and pages. Close and disable reviews on a per-download basis – Reviews can be closed or disabled on downloads; disabling them will not show any reviews whatsoever. However, closing reviews will stop any new reviews from being accepted.